I’m a Research Fellow in the Epidemiology and Cancer Statistics Group at the University of York. My research is focused on applying machine learning techniques to health informatics and I’m currently working on developing complex predictive survival and multi-state models of haematological malignancies. I have an interest in software development, and in particular developing statistical tools such as packages for R. I also dabble in sports statistics. A second post in 2 days on mixture modelling? No awards for guessing what type of analysis I’ve been preoccupied with recently! Today’s post provides an ugly hack to fix a bug in the R flexmix package for likelihood-based mixture modelling and provides a cautionary tale about environments. In short, I’ve encountered problems when trying to predict the cluster membership for out-of-sample data using this package, and judging from a couple of posts I found online, I’m not the only one. I’ve been spending a lot of time over the last week getting Theano working on Windows playing with Dirichlet Processes for clustering binary data using PyMC3. While there is a great tutorial for mixtures of univariate distributions, there isn’t a lot out there for multivariate mixtures, and Bernoulli mixtures in particular. This notebook shows an example of fitting such a model using PyMC3 and highlights the importance of careful parameterisation as well as demonstrating that variational inference can prove advantageous over standard sampling methods like NUTS for such problems. eXpected Goals (xG) is a popular method of answering that age old question of which team ‘deserved’ to win a match. It does this by assigning a probability of a goal being scored from every opportunity based upon various metrics, such as the distance from goal, number of defenders nearby, and so on. By comparing a team’s actual standings with those from the output of an xG model we get a retrospective measure of how well a team is doing given their chances. A new version of multistateutils has been released onto CRAN containing a few new features. I’ll give a quick overview of them here, but have a look at the vignette for more examples. msprep2 The first is a replacement for the mstate::msprep function that converts data into the long transition-specific format required for fitting multi-state models. msprep requires the input data to be a in a wide format, where each row corresponds to an individual and each possible state has a column for entry time and a status indicator. Having become interested in football again due to the World Cup, I was thinking about Predictaball and how I never wrapped up the season with a brief review. It’s been a big season for Predictaball, with the move to an Elo-based system, as well as the launch of a website. However, is the new match forecasting method any good? Model accuracy Fortunately, to help answer this question, a very generous Twitter user by the name of Alex B has been collecting weekly Premiership match predictions from around 30 models and tracked their progress. This talk discussed on an application of multi-state modelling to predict treatment pathways of a disease with heterogeneous disease management options, often involving multiple lines of active treatment. Survival Analysis for Junior Researchers 2018, 2018. 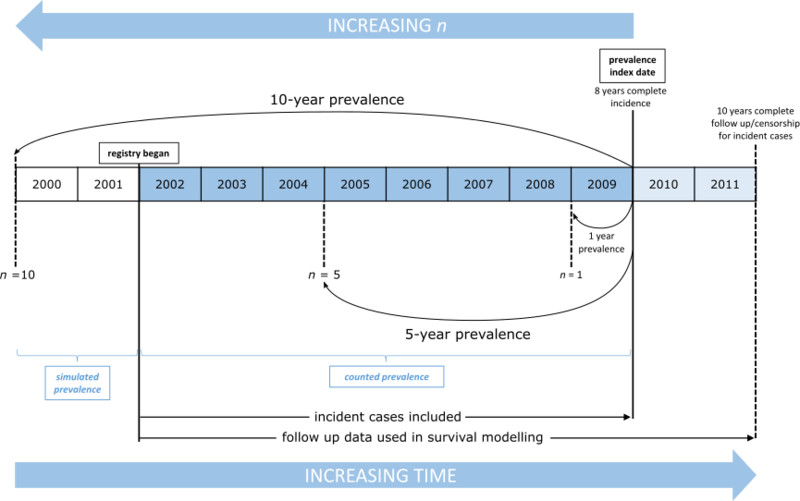 Despite having notable advantages over established machine learning methods for time series analysis, reservoir computing methods, such as echo state networks (ESNs), have yet to be widely used for practical data mining applications. In this paper, we address this deficit with a case study that demonstrates how ESNs can be trained to predict disease labels when stimulated with movement data. Since there has been relatively little prior research into using ESNs for classification, we also consider a number of different approaches for realising input–output mappings. Our results show that ESNs can carry out effective classification and are competitive with existing approaches that have significantly longer training times, in addition to performing similarly with models employing conventional feature extraction strategies that require expert domain knowledge. This suggests that ESNs may prove beneficial in situations where predictive models must be trained rapidly and without the benefit of domain knowledge, for example on high-dimensional data produced by wearable medical technologies. This application area is emphasized with a case study of Parkinson’s disease patients who have been recorded by wearable sensors while performing basic movement tasks. Artificial Intelligence in Medicine, 2018. This work presented an interactive web application for building multi-state models of disease pathways. The app is flexible, allowing for both parametric and semi-parametric models, with transition-specific distributions. The presentation won the award for Best Presentation. Survival Analysis for Junior Researchers 2017, 2017. A survey of possible ways to evaluate survival models that are intended for prognostic, rather than inferential aims. The work was demonstrated on a clinically motivated data set of Follicular Lymphoma. This presentation won the Best in Session Award. Survival Analysis for Junior Researchers 2016, 2016. Evolving Ensembles: What Can We Learn from Biological Mutualisms? Information and Processing in Cells and Tissues, 2015.